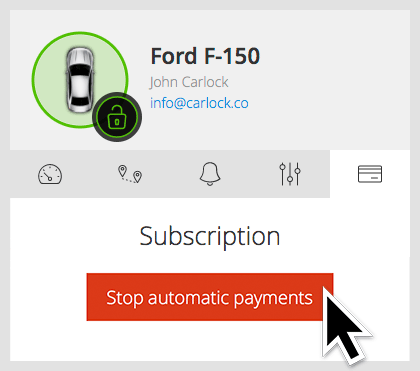 You can easily stop automatic payments with the my.CarLock web application. If you are not familiar with it, please read our CarLock Tip #5 – my.CarLock Web Application guide. Open your web browser, go to http://my.carlock.co and log in to your existing CarLock account. If you have more than one vehicle activated within your account, first select the vehicle you want to stop automatic payments for. Navigate to the subscription tab on the Sidebar. You will be presented with a pop-up to give us feedback on why you decided to cancel your subscription so we can improve the product. Please, select reasons and click “Confirm”. 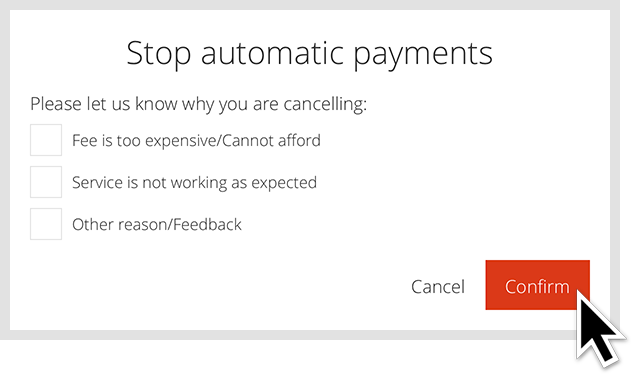 Your automatic payments are now stopped and you will receive an e-mail confirmation. You need to repeat this process for every vehicle you would like to stop automatic payments for. IMPORTANT! Once the subscription expires, you have just a few days left before it gets frozen and the device stops working. 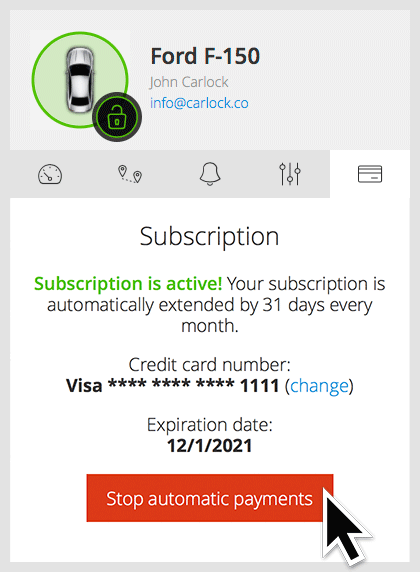 If your subscription is frozen for more than 30 days, the SIM card inside the CarLock device will be terminated! In this case, you will need to order a replacement SIM card if you decide to use the CarLock service again. If you have any questions about my.CarLock, let us know at support@carlock.co.